» Page 3 of 14 » All releases officially endorsed. Groove on. Nana Tuffour ‘Sikyi Medley’ 12″ EP with CC:DISCO out now! Kalita Records and CC:EDITIONS (a new venture by Australia’s CC:DISCO!) jointly release a 12” EP comprised of four of Nana Tuffour’s greatest electronic burger highlife tracks, accompanied by interview-based liner notes. Here, in partnership with Nana, we select two highly sought-after songs from his 1993 release ‘Genesis’, namely ‘Sikyi Medley’ and ‘M’Anu Me Ho’, and pair them his with two lesser known yet equally deserving tracks ‘Asamando’ and ‘Jesus’ from his 1997 CD-only release ‘Highlife Tropicana’. 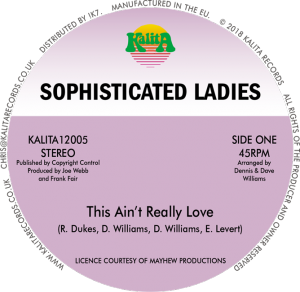 This entry was posted in Uncategorised on 4th September 2018 by Kalita Records. Kalita Records are proud to release the definitive discography of Carrie Cleveland! Kalita Records are proud and honoured to announce the first ever and definitive discography of Carrie Cleveland. 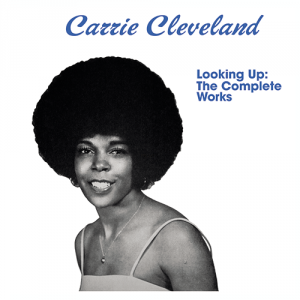 Here, we offer an expanded LP of her 1978 album ‘Looking Up’, including extra songs from both her issue and promotional versions of her single ‘Make Love To Me’, plus a 7″ featuring the previously unknown sweet soul single ‘I’ve Got A Feeling’. Housed in a gatefold sleeve and accompanied by extensive interview-based liner notes and never-before seen photos. Also available on CD with mini-poster! This entry was posted in Uncategorised on 3rd August 2018 by Kalita Records.